Jeju Island is a rather stunning volcanic island, dominated by Hallasan, a volcano 1,950 m (6,400 ft) high and the highest mountain in South Korea. The island also measures roughly 45 mi (73 km) across, east to west, and 25 mi (40 km) from the north to the south. There is also a magnificent crater lake, which is the only crater lake in this country in Asia and is indeed a marvel of geology. 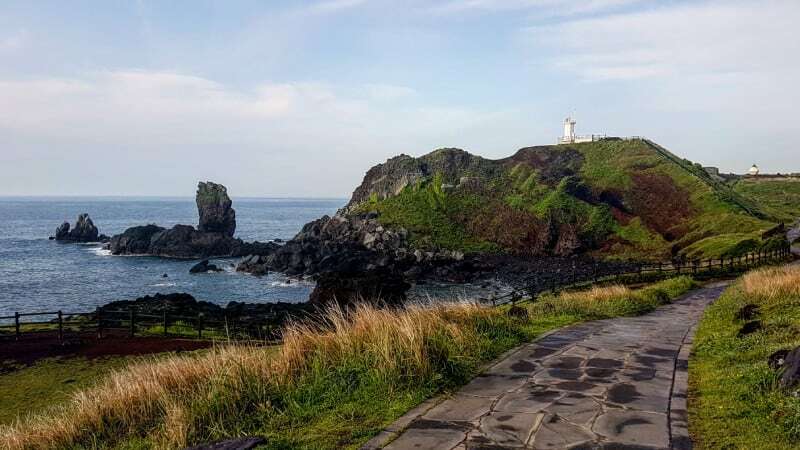 Jeju Island formed entirely from volcanic eruptions approximately 2 million years ago, during the time period extending from the Tertiary Period to the beginning of the Quaternary Period. It consists chiefly of basalt and lava. The eruptions took place in the Cenozoic era. An area covering about 86 sq. mi. (224 sq. km.) 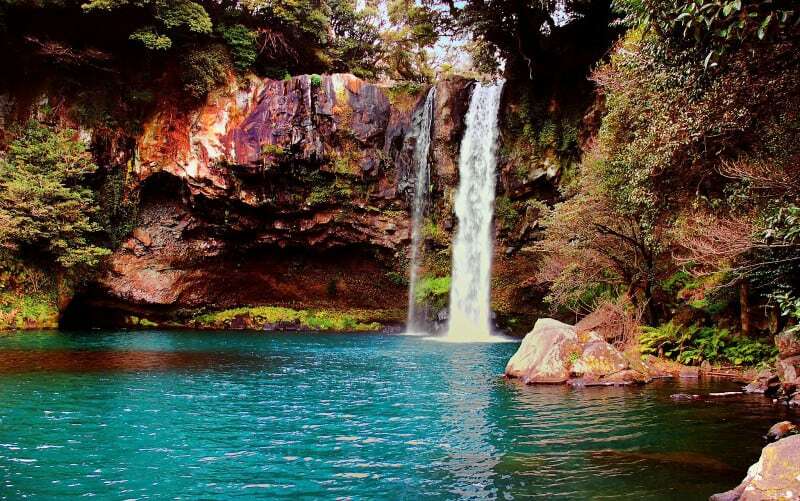 of Jeju Island is also famous as the Gotjawal Forest with several beautiful waterfalls. Because this forest remained pristine for so long, it has a unique ecology. In fact, the forest remains the main source of fresh groundwater making it the main water source for approximately half million people of the island. Rainwater penetrates directly into the aquifer through the cracks of the lava beneath the forest. Gorgeous Jeju Island has a rather humid, subtropical climate warmer than that of the rest of Korea. It also boasts four distinct weather seasons. In addition, the winters usually remain rather cool and also quite dry while summers are hot, humid, and sometimes rainy. The majority of the island remained uncultivated until the 21st century, as its base of A-Type lava made it difficult to develop for agriculture. The Gotjawal forest is also an internationally important wetland area under the Ramsar Convention. It is the habitat of unique species of plants and is the main source of water for the residents. However, to date, it is yet to become a Ramsar site.